Item is a pencil sketch of a costume design from Dalhousie Theatre's 1990 production of Shakespeare's Women. 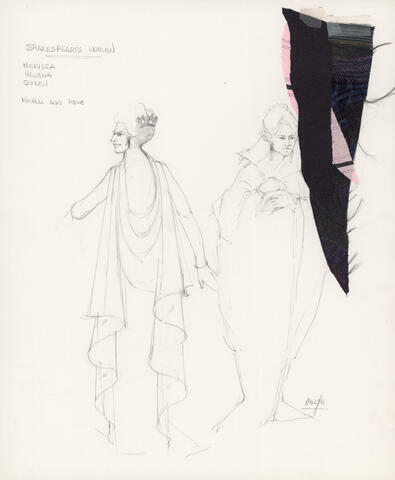 The sketch shows costumes for an actor named Micheal Ann Rowe who played three characters named Nerissa, Helena, and the Queen. The sketch shows two figures wearing two of the costumes. There are fabric swatches taped to the sketch.